> Should I do it? 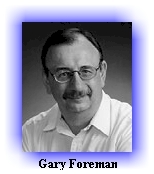 Gary Foreman is a former Certified Financial Planner (CFP) who currently writes about family finances and edits The Dollar Stretcher website http://www.stretcher.com. 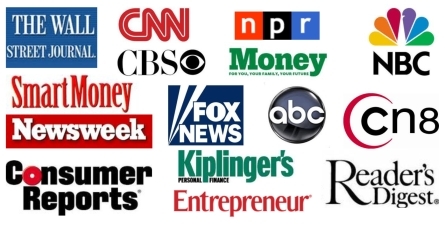 You'll find hundreds of FREE articles to stretch your day and your budget! FREE subscription to DebtSmart® Email Newsletter and FREE software too! I am a college student looking for a credit card. When I tell my parents this they say, "no, you don't need one". I feel that I am financially responsible and in control of my money. I am not looking to spend money I don't have but merely to build credit. I've read all about college kids in debt, etc. But what about the rest of us that are responsible and ready to start our lives? How do I even get a credit card? And is there any better way to build credit? David is smart to take an interest in managing his credit. Like most young adults, David is anxious to grow up. And getting your own credit card is part of that process. But he needs to be careful when he begins this journey. There are more than a few perils along the way. First, he should consider why he needs to 'build credit'. Sure, credit scores are being used for more things these days. It's even possible that David's college checked his score before accepting his application for enrollment. But typically, the only time that you really need good credit is when you want to borrow money. In fact, he probably won't need to have much of a credit history until he wants to finance a major purchase like furniture, an auto or home. So there's probably no hurry to 'build credit'. That's not to say that David shouldn't get off to a good start now. One advantage to getting a credit card early is that David can begin to establish a consistent history of responsible use of credit. Of course, the younger David is, the more likely that he'll fall into trouble. David needs to remember that having a credit card does not necessarily help his credit rating. If he gets a card with a low credit limit and pays his bill in full each month he will begin to improve his credit score. But, that same credit card could also hurt his credit score. All he has to do is to begin to carry a monthly balance. In fact, if he just has a credit limit that's too high in relation to his income, he will be less attractive to future potential lenders. Is there another way to build credit? Not really. There are other things that go into his credit score. But most of the information relates to how much credit is available and how dependable the borrower has been. So information on credit cards is a big portion of most young adults' credit rating. Getting a credit card shouldn't be too hard. On most campuses credit card companies are aggressively going after students. If he doesn't have a regular source of income he may need his parents to co-sign on the account. David should recognize that a credit card is a dangerous tool. Less than 50% of all credit card accounts held by students are paid off each month. It's very easy to charge a few things during the month only to find that you don't have enough money to pay the bill when it comes. According to Nellie Mae the average college undergraduate carried a balance of over $2,700 in 2000. That's a lot of debt if you have limited income. If David feels he can't use credit responsibly, he would be wise to wait. When he does get a card, David should leave it at home. The only time he needs it is when he has planned to make a specific purchase and he knows that he has the money to pay for it. Carrying the card with him is an invitation to make impulse purchases. Very few students can resist that temptation for long. In fact, he might do better with a store credit card. The reason is simple. It's hard to buy pizza or movie tickets on a Sears' card. Given what's known about college students and credit, David would be wise to move cautiously. He needs to recognize that most students are not 'building credit'. Instead they're damaging their credit worthiness and digging a financial hole that will make it hard to rent apartments and buy cars when they graduate. Hardly a smooth road to adulthood. Subscribe FREE and start finding new ways to save money and pay off your debt. Founded in 1998 by Scott Bilker, DebtSmart.com is one of the most trusted sources of consumer, how-to information for saving money and managing credit cards and debt.